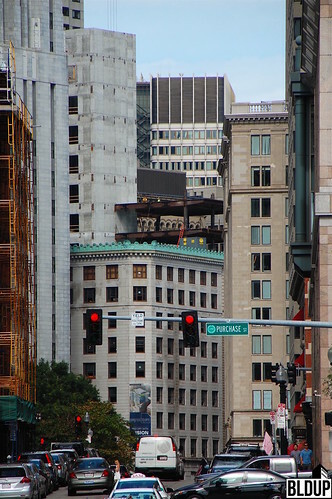 Located in Boston’s Downtown Financial District, our staff of architects, planners, and graphic designers provides a full-range of services. Our firm is grounded in and thoroughly committed to advancing the quality of the built environment in New England, nationally, and internationally. 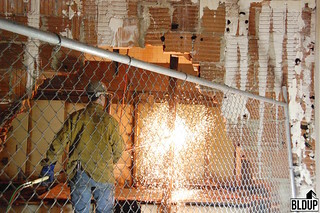 We have received numerous awards for planning and design from the Boston Society of Architects and American Institute of Architects, but our greatest measure of success is the number of repeat clients we have worked with over the years. The Boston Planning Board has approved the 270 unit residential project at 144 Addison Street in East Boston. The approval comes after the development site was bought by Gate Residential for $10M last November. 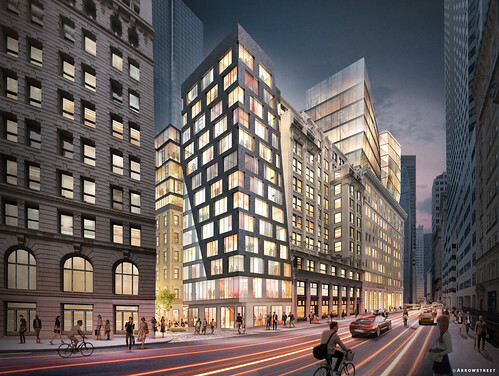 144 Addison Street will feature 2 new buildings to include 270 apartments and parking for 179 cars. Units will range in size from studios to two bedrooms. 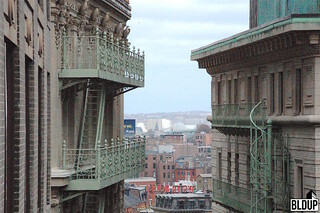 The project is located just a few blocks from East Boston's Constitution Beach. 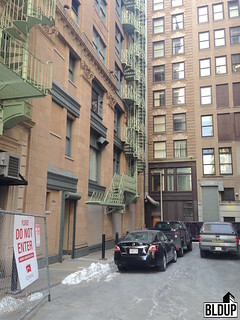 Gate Residential has acquired the property at 144 Addison Street in East Boston for $10 Million. The proposed multi-family residential development would feature 270 apartment residences across two new-construction buildings ranging from three to five stories in height. Residences would include 59 studios, 149 one bedrooms, and 62 two-bedrooms. Both buildings would be connected with a central resident amenity section. A total of 179 vehicle garage parking spaces, 270 covered bicycle storage spaces, and 15 exterior bicycle parking spaces would be provided on site. Greystar has acquired the property at 650 Ocean Avenue in Revere for $89.25 million. Ocean 650 features a 211,294 square foot mixed-use building on Revere Beach. 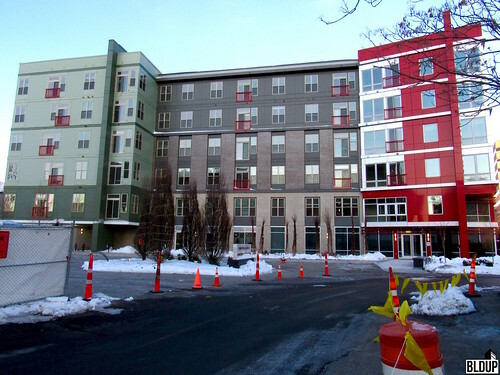 The six-story building consists of 230 luxury rental apartments along with 304 parking spots for residents. 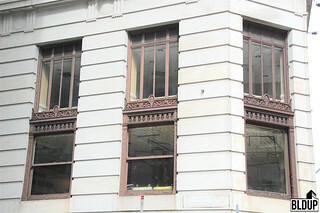 Large, authentic black metal-framed windows have been installed along the fully restored facade of 61 North Beacon Street, a historic five-story, 71,000-square-foot office building that is being fully renovated as the first phase of the redevelopment of the 5.3-acre Boston Volvo Village property in Brighton. 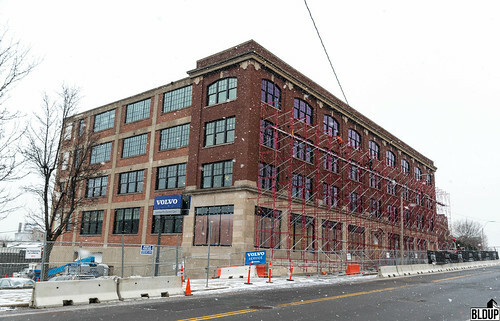 The building’s interior is now being improved with new utilities and finishes in order to accommodate a new home for Boston Volvo Village, as well as 28,000 square feet of build-to-suit upper-floor office space and ground-floor retail now available for lease. A proposed 270-unit multifamily development at 144 Addison Street in East Boston, located minutes from the Orient Heights MBTA Blue Line station and Route 1A, is expected to break ground by the end of the year per newly revealed project plans. The project would feature two new-construction buildings containing apartments including 59 studios, 149 one-bedrooms and 62 two-bedrooms, with 179 on-site vehicle garage parking spaces. 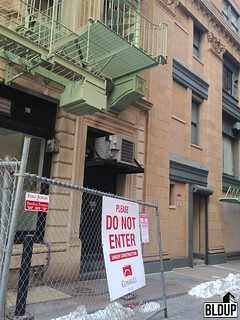 144 Addison Street would be built in two phases, with construction expected to last approximately 24 months and the first apartments expected to open December 2020. 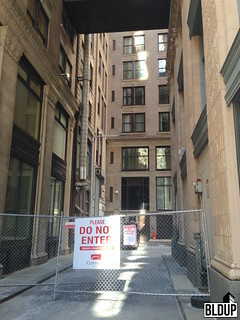 Project proponents Gate Residential and Bulgroup Properties have filed plans for 144 Addison Street with the Boston Planning & Development Agency (BPDA), who is now reviewing the proposed development. After reaching a compromise with Old South Church regarding shadows cast on the historic building, Boston Properties has received a key city approval for the 1.37-million-square-foot Back Bay/South End Gateway mixed-use development atop Back Bay Station, bringing the $1 billion project one step closer to reality. Boston Properties has agreed to pay $3 million towards a preservation fund for Old South Church, Trinity Church and other surrounding historic buildings, as well as $3 million into the City of Boston’s affordable housing fund. 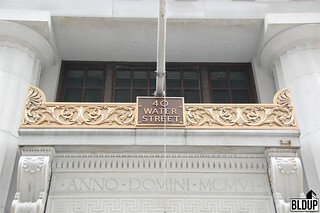 The church had originally sought a $19 million settlement from Boston Properties in light of concerns that shadows from the development would darken the church and exacerbate water damage. The settlement between Boston Properties and Old South Church came on the eve of the Boston Planning & Development Agency (BPDA)’s vote to approve the project, which passed with unanimous approval. 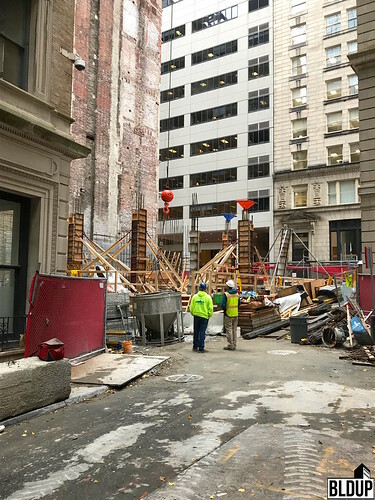 The Back Bay/South End Gateway project will now go before the City of Boston’s Zoning Board of Appeals (ZBA) for review; following ZBA approval, Boston Properties will be able to proceed with construction of the project. 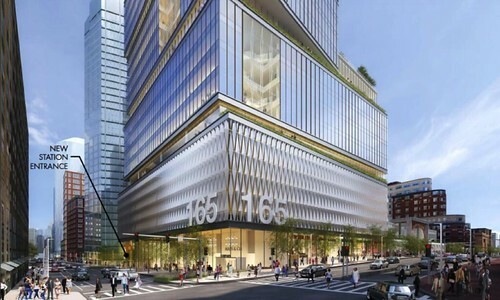 The Back Bay/South End Gateway project will feature approximately 582,500 square feet of office space, approximately 61,800 square feet of retail space and approximately 600 residential units across three new towers and a one-level vertical expansion of Back Bay Station. The existing station will also be modernized as part of the project, and an additional 90 affordable housing units will be developed off site. CMS Partners proposes to renovate and expand its’ existing five-story, 33,695-square-foot medical office building at 209 Harvard Street in Brookline’s Coolidge Corner, adding a new ground-floor cafe and constructing a total of 49 residences in a new six-story, 29,212-square-foot rear addition. 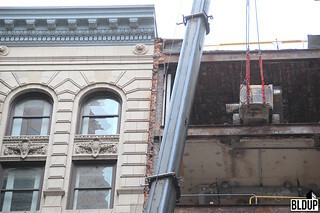 The existing building’s façade facing Harvard Street would be improved with a new glass and panelized system and a glazed addition with a stairway along the first two floors. 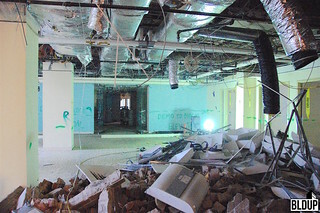 Interior common areas would be renovated as well. A total of 35 micro-housing units and 14 one-bedroom units would be constructed within the rear addition, replacing the building’s existing surface parking lot. 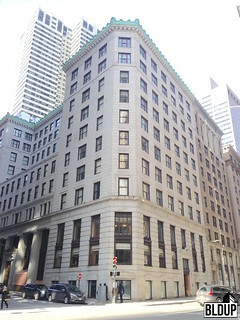 CMS Partners acquired 209 Harvard Street in February 2016 for $11 million from Langley Corp. The proposed project is now under review by the Town of Brookline. Westbrook Partners has acquired the 194-unit Vanguard at Waterfront Square luxury apartment community on Revere Beach, which opened in 2016, for $59.85 million in cash. The sale amounts to approximately $308,505 per unit. The Bozzuto Group has assumed management of Vanguard at Waterfront Square with Westbrook Partners’ acquisition. The project’s seller, a joint venture of Covington Realty Partners and Real Estate Capital Partners, paid $41.7 million to develop Vanguard at Waterfront Square. Vanguard at Waterfront Square features two new-construction buildings located steps from the MBTA Blue Line with amenities including a fitness center, a swimming pool, a clubroom, a business center, garage parking and sweeping ocean views throughout. 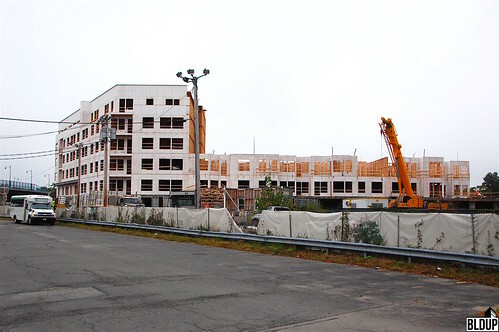 Westbrook Partners is currently developing The Aberdeen, a 40-unit luxury condominium building in Brighton, and is proposing to construct 55 Wheeler Street, a 526-unit apartment community in West Cambridge, in a joint venture with Redgate. Hotel developer Lixi Group of Montreal, QC has acquired 1.31 acres overlooking Revere Beach, on which the developer will construct a 150-room Marriott SpringHill Suites hotel, for $2 million in cash. The property fronts the recently constructed Waterfront Square plaza and is located adjacent to the Wonderland MBTA Blue Line station, a short transit ride or drive to Logan Airport and Downtown Boston. 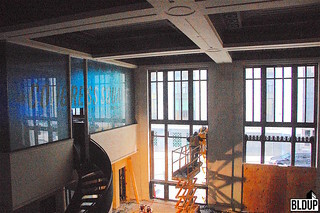 The hotel will feature amenities including a swimming pool, a fitness center, a restaurant and a bar. The 150-room hotel will be the next phase of the $500 million, 1.4-million-square-foot Waterfront Square development, which upon completion will also feature 900 luxury residences and up to 40,000 square feet of restaurant, retail and entertainment space. 424 luxury apartment residences have already been completed at Waterfront Square, including 230 residences at Ocean 650 and 194 residences at Vanguard Waterfront Square. 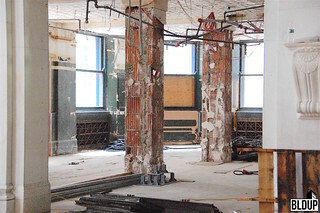 The interior of 61 North Beacon Street, a historic 5-story, 71,000-square-foot office building, has been nearly fully demolished to make way for renovations that will comprise the first phase of the mixed-use redevelopment of the 5.3-acre Boston Volvo Village property in Brighton. 61 North Beacon Street will be converted into a new dealership and offices for Boston Volvo Village, freeing the existing dealership property up for redevelopment. Preliminary development plans for the site call for three new buildings, which could include multifamily housing. 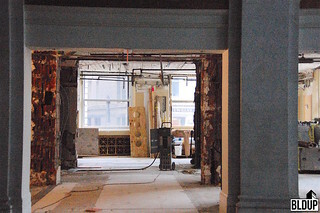 61 North Beacon Street will also contain ground-floor retail and 28,000 square feet of upper-floor office or R&D space. Gate Residential and Bulgroup Properties propose to construct a new mixed-use development in East Boston featuring 300 residential units and approximately 2,000 square feet of ground-floor commercial space a short walk from the Orient Heights MBTA Blue Line station. The development would be constructed on a 3.29-acre surface parking lot currently leased to Avis Car Rental. The proponents have filed a Letter of Intent (LOI) to construct the project with the Boston Planning & Development Agency (BPDA) and anticipate to file an Expanded Project Notification Form (EPNF) with additional details within next 60 days. 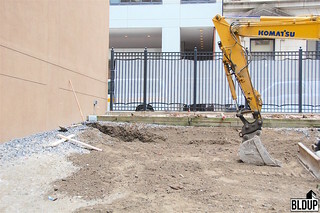 Boston Volvo Village, a local automotive dealer in operation since 1957, broke ground Monday (May 8th, 2017) on the restoration of the historic 71,000-square-foot office building at 61 North Beacon Street in Brighton, the first phase of the redevelopment of the 5.3-acre Boston Volvo Village property located steps to Boston Landing and the new commuter rail station. 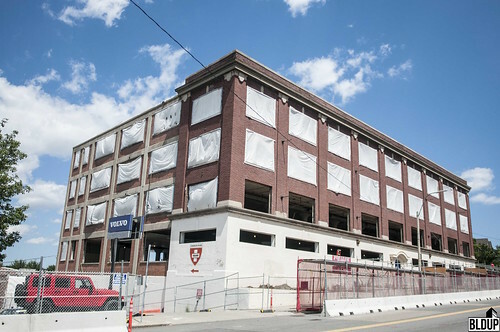 The restored 61 North Beacon Street, which stands on a 1.2-acre parcel, will house the dealership’s new showroom and offices as well as new state-of-the-art tenant office and retail space. Preliminary plans call for the present 4.1-acre car dealership, located at 75 North Beacon Street, to be developed into three new buildings, which could include multifamily housing. The Boston Planning and Development Agency (BPDA) recently held a Citizens’ Advisory Committee meeting to present the latest progress on the Back Bay/South End Gateway project, which was first proposed by Boston Properties last March and is undergoing active review by the City of Boston. Article 80 Large Project Review for the project is now underway, and both a Draft Project Impact Report and Draft Environmental Impact Report have been filed. The proponent is also working to amend the existing Planned Development Area zoning, which currently includes just sections of the site, to include the entire project site in order to enable the development of over 1.2 million square feet. 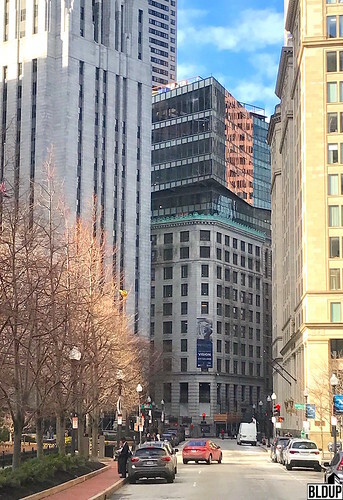 In response to public comment, developer Boston Properties has increased the size of the proposed public plaza at the Clarendon Street entrance and removed a two-story addition on the existing Back Bay Station along Dartmouth Street. 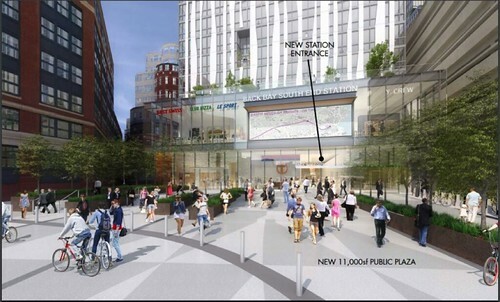 In order to accommodate the development, the existing bus pick-up and drop-off area along Clarendon Street would be converted into an 11,000 square foot public plaza serving as a grand gateway to Back Bay Station and the new 34-story Station East building. 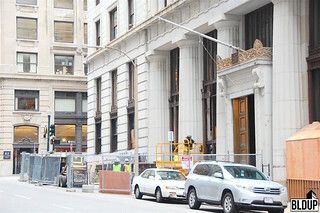 Bus service would be permanently moved to a new Stuart Street entrance to Back Bay Station, which would be conveniently located in the lobby of the new 26-story Garage West building steps to Copley Square and next to the upcoming 40 Trinity Place hotel tower. Within the existing station, new elevators and stairs would be built to access the Orange Line, and new redundant elevators would be built to access the Amtrak and Commuter Rail platforms. The pick up/drop off area for the route 39 bus will be moved to Stuart Street in order to accommodate the new public plaza on Clarendon Street. 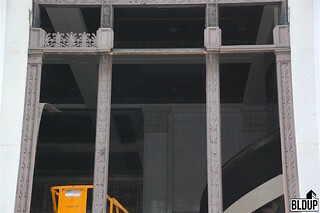 The concourse from the new Stuart Street entrance to the main station will be bright and clean-looking. 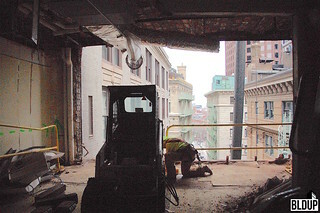 A view of the Garage West tower from the corner of Dartmouth and Stuart Streets, featuring the new Stuart Street entrance to Back Bay Station. Corcoran Jennison Associates is proposing minor changes to the approved Bayside Doubletree Hotel Expansion project in Dorchester. A slight increase in hotel rooms (97 to 104) is proposed, along with a slight increase in square footage (69,500 to 70,900) and a slight reduction of the hotel addition’s square footage footprint (19,281 to 17,259). A Notice of Project Change (NPC) detailing proposed changes from the approved project plan has been filed with the Boston Planning & Development Agency (BPDA) and is now undergoing official review. A Project Notification Form has been submitted for the Back Bay Station Redevelopment, now known as the Back Bay/South End Gateway Project. 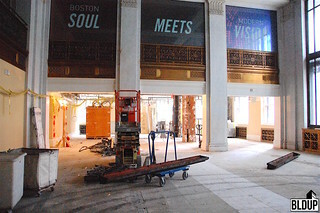 Boston Properties hopes to begin construction of the project in mid-2017. 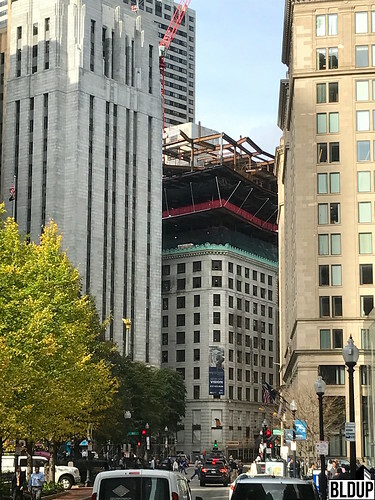 According to today's Boston Globe report, market conditions and demand for office and residential space will dictate the project's groundbreaking date. 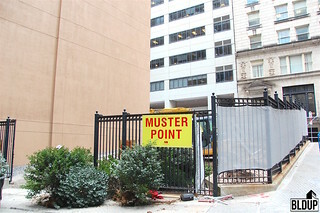 Likewise, it has not yet been determined whether residential units will be apartments or condominiums, or whether affordable housing requirements will be fulfilled on site or elsewhere. 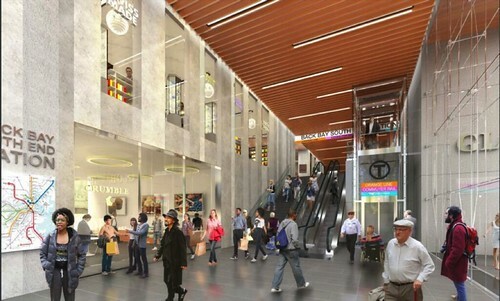 Boston Properties has submitted a Letter of Intent to the Boston Redevelopment Authority to construct an air rights development over the existing Back Bay Station and neighboring parking garage. Per the letter, the project will be a "mixed-use office, retail, restaurant, commercial and residential development of approximately 1.4 million square feet...in and over the existing Garage and Station." The following is a link to the full Letter of Intent. More information about the proposed project is posted below. 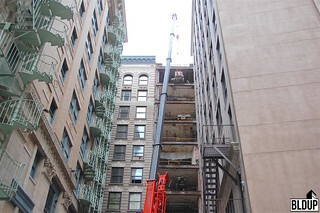 Our site photographs of 660 Ocean Avenue at Waterfront Square from our tour last week are posted above. 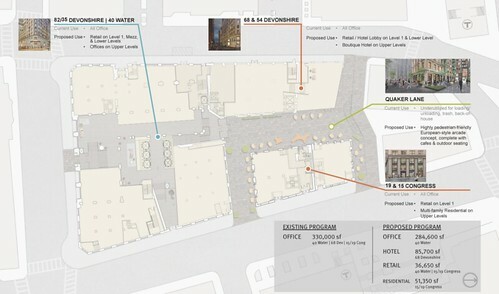 Learn more about the Waterfront Square development at our Waterfront Square project page. We toured Waterfront Square last week with David Bois, Principal at Arrowstreet. Thanks David for a great tour! 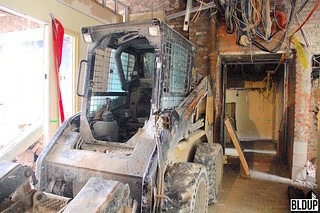 Learn more about the project and view our site photographs here on BLDUP.com. Also visit our project pages for Vanguard at Waterfront Square and 660 Ocean Avenue at Waterfront Square and watch our interview with David. 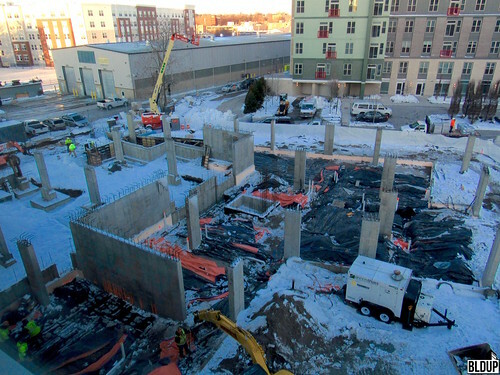 A topping-off ceremony was recently held at Logan Airport's Central Garage West! Check out photos from the ceremony, as well as of the garage, above and below. 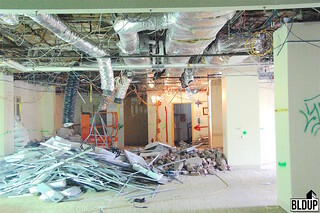 Photos courtesy Arrowstreet.